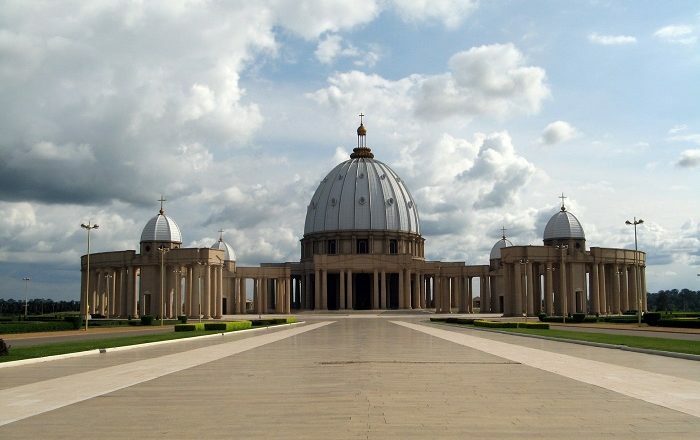 The Basilica of Our Lady of Peace, also known as Yamoussoukro Basilica, is one of the largest Catholic basilicas in the world and it is considered as a Catholic minor basilica that is dedicated to the Blessed Virgin Mary, located in the administrative capital of the Republic of Côte d’Ivoire, Yamoussoukro. 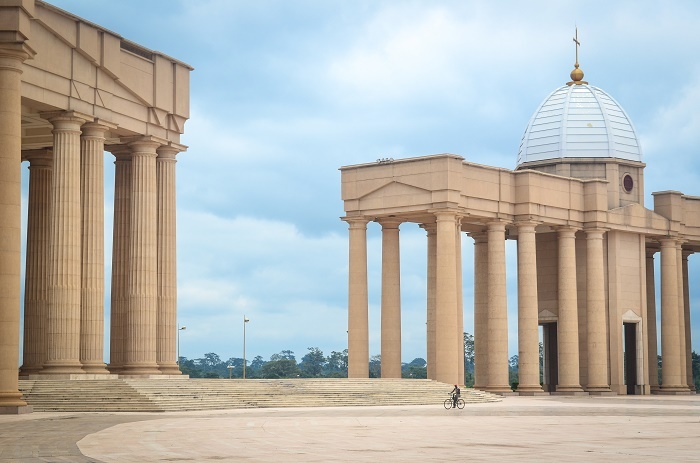 The finances used for the construction were apparently paid by the Côte d’Ivoire’s president, Félix Houphouët-Boigny, who moved the capital city in 1983 to his birthplace of Yamoussoukro in order for the city to be used as the new capital of his country. 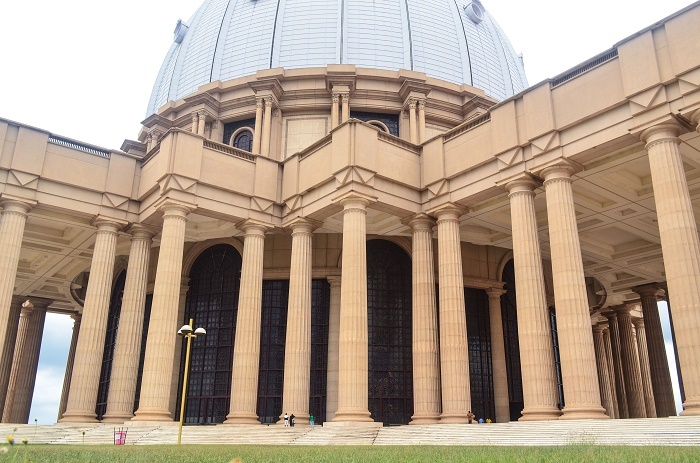 Being part of a plan that is supposed to memorialize the President as the one who constructed the “greatest church in the world”, the Basilica was built between 1985 and 1989, in a record time taking into consideration its enormous size. Now, regarding the costs, as there are no clear sources, they are always varying between 175 and 3000 million US dollars, with some estimating it to be up to astonishing 600 million US dollars. 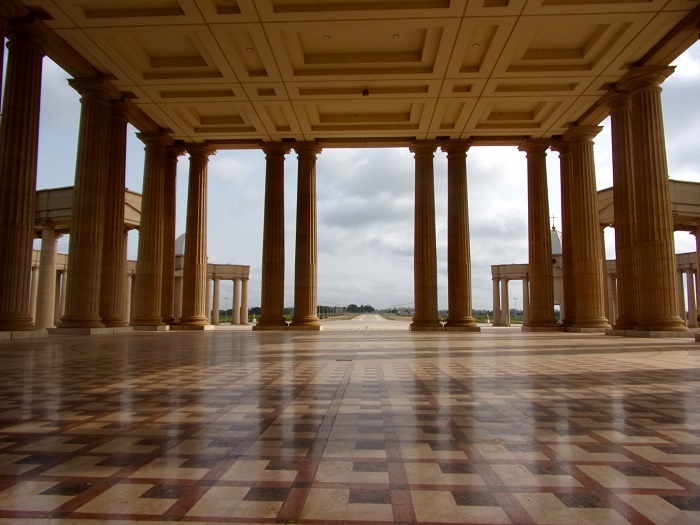 Definitely, spending the money was not much of a great care for the president, as the church we see today is with an impressive stature which was modeled after the great Basilica of Saint Peter in Vatican City. Still, the size of Vatican’s cathedral is intentionally surpassed as the dome’s diameter is 90 meters (300 feet), with height of 158 meters (518 feet). 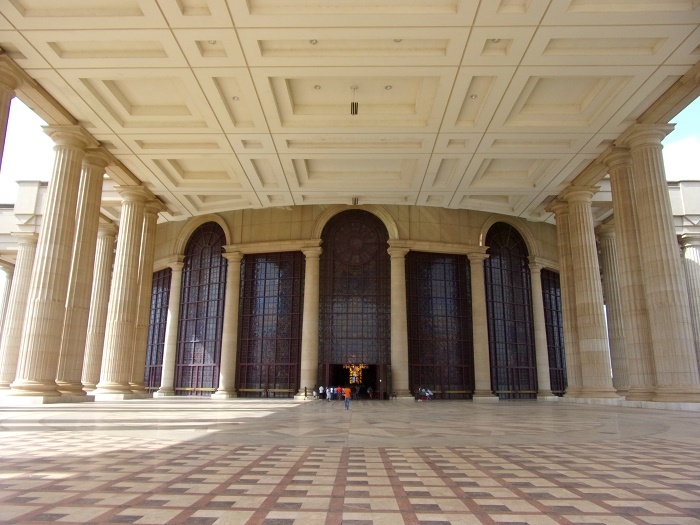 Fronted by a large plaza encircled by two more colonnades, there are 272 Doric columns that support the colonnades which are made of cement and rise as high as 31 meters (101 feet). 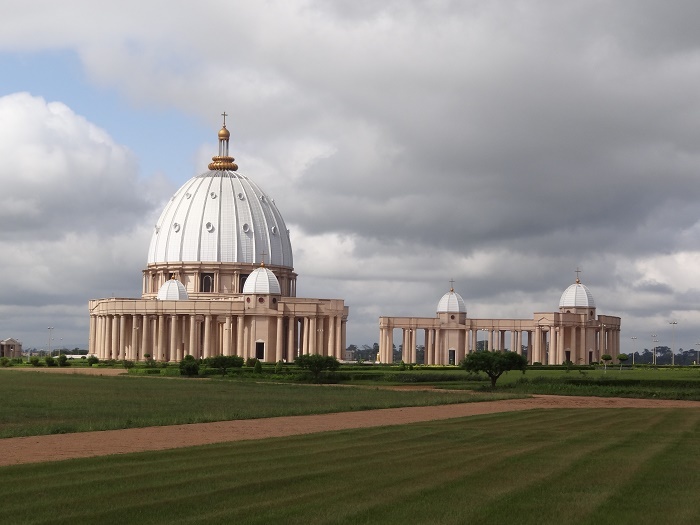 The French construction company, Dumez, certainly created something extraordinary, as the marble basilica can accommodate up to 18,000 worshipers and the esplanade additional 300,000, however, since it is built on the outskirts of the city, sadly it is surrounded by a barren and dusty landscape where poverty flourishes. 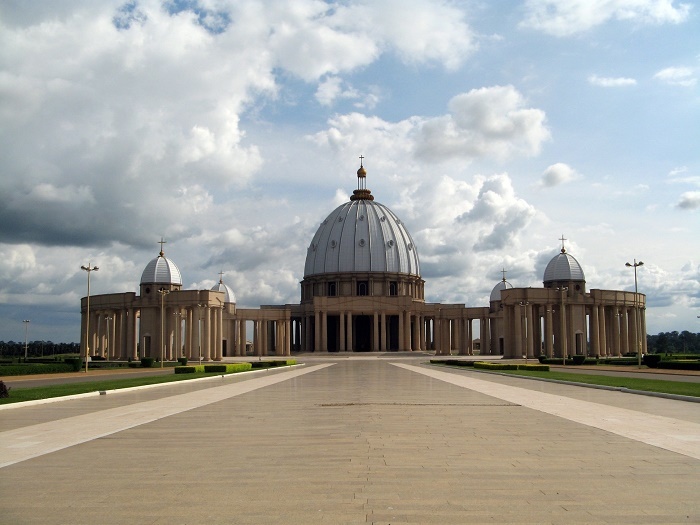 Consecrated by the Pope John Paul II, the Basilica of Our Lady of Peace in Yamoussoukro is nowadays a symbol of a lavish spending which doubled the national debt, nevertheless, it is still considered by the many of the country’s Catholics as a great monument for which the Côte d’Ivoire should be known for, instead of the more common unrest and civil wars.